Miami’s Dr. Andres de Cardenas and his staff of caring, concerned professionals want you to know that when you walk into our office, we see you as the unique individual you represent. As a potential new dental patient, Dr. de Cardenas understands that possessing different choices is likely important to you. Our dental patients in Miami wield numerous treatment methods concerning improving your smile. 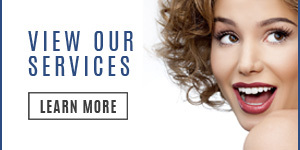 An exciting alternative we can provide is the groundbreaking Invisalign® procedure. What is Invisalign®, a Different Type of Braces? Invisalign® is a modern tooth straightening treatment that specialists can customize for individual and unique dental cases. Traditionally, dentists utilized a singular, fixed set of metal braces to straighten teeth. However, with the advancements in modern dental treatment options, we now can administer the Invisalign® orthodontic treatment plan. Dental professionals will customize the series of virtually transparent clear aligners that you wear over your teeth. This series of clear aligners gradually stimulate tooth movement, aiding patients with proper alignment. Wearing Invisalign® clear aligners is similar to traditional braces in this respect. Approximately every two weeks throughout the treatment time, Invisalign® patients wear a new set of aligner trays until they achieve their ideal smile. Our favorite part of utilizing the orthodontic Invisalign® system to improve your smile is that the system is hardly visible to the outside world. Your friends and coworkers will know none the wiser about the quality dental care you employ to cultivate your beautiful smile! The Invisalign® oral hygiene process begins with an initial consultation with the Dr. Your dental specialist will examine your teeth while they determine what Invisalign® can accomplish for your needs. Contrary to traditional dental practices, straight teeth do not need to impart metal brackets or wires. Invisalign® is a modern approach to straightening teeth, a contrasting experience to those that wear braces. 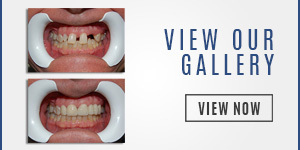 The system employs a custom-fit series of aligners created specifically for your unique teeth. Additionally, Invisalign® supplants braces for patients at any age. Designers cultivate the aligners from smooth, comfortable, and virtually invisible plastic that fits over your teeth. As Invisalign® patients wear these aligners, their teeth gradually shift into a proper position. Based on these movements, a dentist can plan out the future steps in the treatment. Invisalign® uses no metal brackets or tightening wires. Your Invisalign® provider will simply provide you with a new set of aligners that you can install every two weeks until you complete the treatment. Considering a set of Invisalign® liners that can help you align your teeth? Invisalign® helps patients straighten their teeth without employing any facets from traditional metal braces. The Invisalign® procedure has quickly revolutionized the orthodontics industry for both patients and dentists as well. The aligners are far easier to clean than traditional braces. This aids and ensures the effectiveness of treatment for patients, including combatting the potential development of gum disease. For many patients, however, this decision ultimately comes down to costs. Invisalign® is typically more expensive than regular, traditional braces. The average cost of Invisalign® aligners is between $3,500 and $8,000. During your initial consultation with a dental professional, you can discuss pricing with your dentist or orthodontist. Factors that contribute to Invisalign® costs include how drastically you need an alignment. It also may concern how many aligning trays you will need from start to finish. The cost of braces varies drastically. However, the figure typically resides somewhere around $2,600 to $6,000. Depending on your unique, individual need, you will also likely discuss this price point with your dentist. Most dental insurance plans will additionally cover Invisalign®. This is because they consider it a similar treatment to braces. Nonetheless, it is important to ensure you double check with your insurance company before you undergo a procedure. This can help you prepare yourself for potential pricing, in addition to the extent of your coverage. Ultimately, the ideal treatment for your individual dental circumstances come down to what you and the dental specialist decide. Although the average price for Invisalign® remains high, it is not a drastic figure above traditional braces. Invisalign® provides patients with numerous unique advantages. These include removing the aligners to brush and floss your teeth. This advantage alone is normally enough to make patients pay a slightly increased price. If cost remains a troubling concern for you, discuss this situation with our Miami Beach Dentist, Dr. Andres de Cardenas. He will work with you on pricing and payment for your Invisalign® treatment. This will help you cultivate potential ideas to remedy your specific circumstances. Do you experience difficulty with your teeth? Do you want your teeth or smile to display differently? 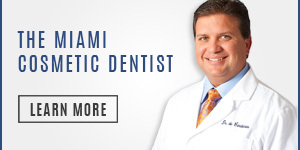 Miami’s Andres de Cardenas invites you to contact our dental practice and schedule a consultation. This may help you discover how invisible orthodontics Invisalign® can improve your overall smile. You can contact our office by utilizing our convenient email form and we’ll get right back to you. Otherwise, you can simply call us at (305) 251.3334. You can discuss the treatment with Dr. de Cardenas and learn more about the benefits of Invisalign® and whether or not it is the right treatment for your unique needs. Come into our office, talk to Dr. Andres de Cardenas, and you may find out precisely why the experience with our practice demonstrates the difference between being a patient and being treated as a part of our family. For more information on the treatment, get in touch with our Invisalign dentist in Miami, Dr. de Cardenas today. Newly refreshed teeth with Invisalign will help show off to your friends and coworkers just how excited you are about life. We want to offer you an increase in your self-confidence while optimizing the natural beauty of your smile. No matter how misaligned your teeth may be, Dr. Andres de Cardenas and the revolutionary Invisalign treatment can help you!